it’s time for an update with some information where the project is standing. First of all I want to thank Anderl who is helping me with the 3D development of the system. This is aiming in making the system as small as possible while taking care of the heat development and other arrangement tweaks (of much more components than the original system had). 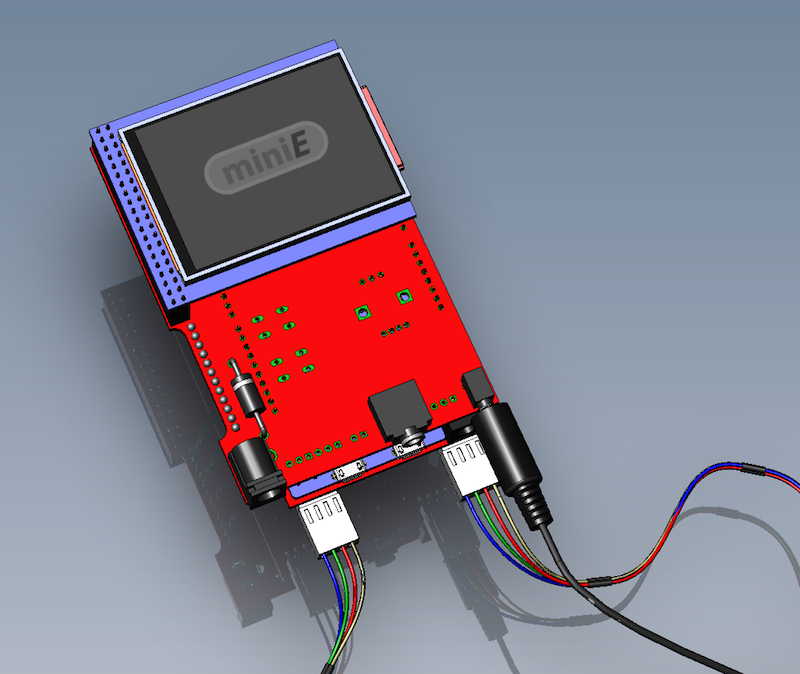 There will also be an enclosure for the second version of the system which will provide a safe and good looking home for your motion controller! Another decision has been made – I am going for the Big EasyDriver. It will deliver the extra bit of power needed for avoiding (or at least minimizing) one of the biggest problems with the 1st version – missing torque. 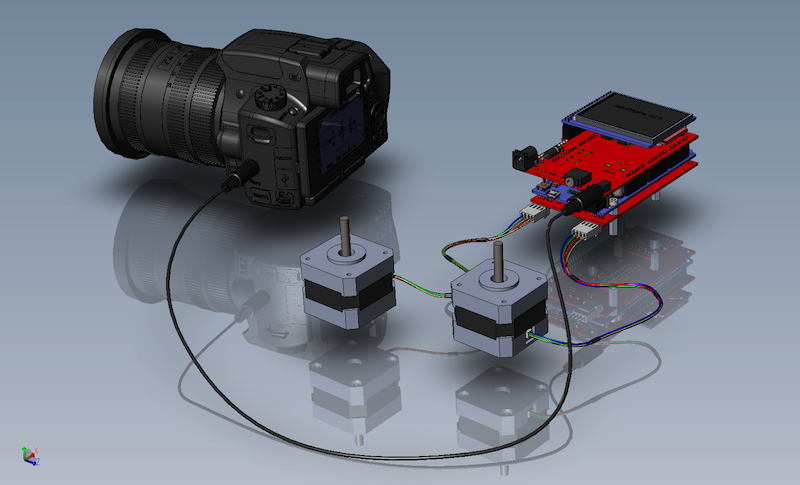 You can still use whatever stepper driver you like if you need something else than the Big Easy Driver. 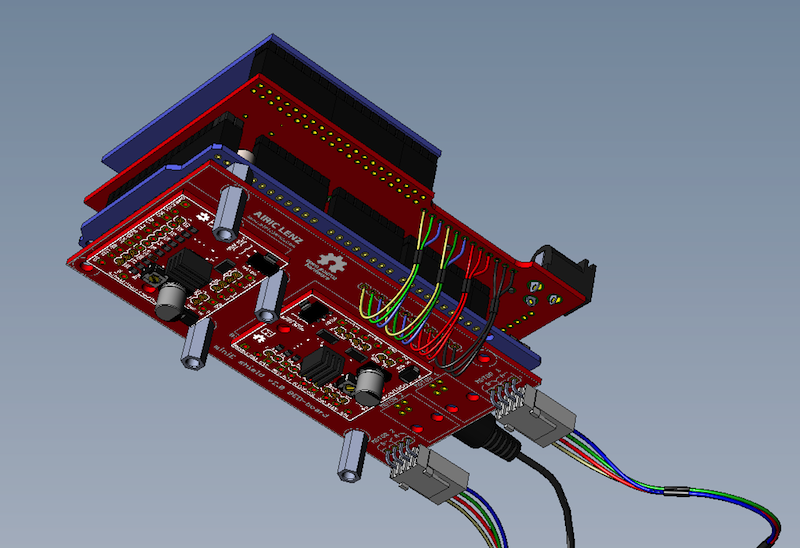 The 1st version of the PCBs will be done within the next days and after that they will be ordered immediately. When the 1st prototypes are running the actual development of the software can take off. I started with converting the software into libraries where it makes sense to improve the maintainability of the code and also to slim it down and make it more modular. Effectively this means rewriting almost all the code but it will be worth it! I was able to gather very valuable input regarding the direction the system needs to take for being of interest even for professionals. During the last days I was working on benchmarking and tweaking different aspects of the system to meet these requirements (I never did this for the 1st system). One example is the repeatability of moves – precisely speaking the timing (crystal speed) differences of different Arduinos vs. their frequency stability. The figures that are coming back from these tests will help me in making the system more effective, stable and accurate. Thanks too all of you that supported and continuously are supporting the project with ideas, input and feedback! I really appreciate that! I am looking forward to the 1st prototype and to share some photos of it with you! Stay tuned for more.